Safety Speed Mfg. 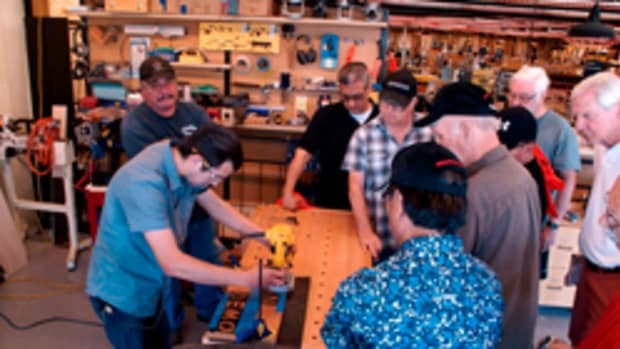 provided a new horizontal panel router to the woodshop program at Del Oro High School in Loomis, Calif.
Del Oro was chosen from a lottery of teachers attending the 2013 AWFS fair in Las Vegas. 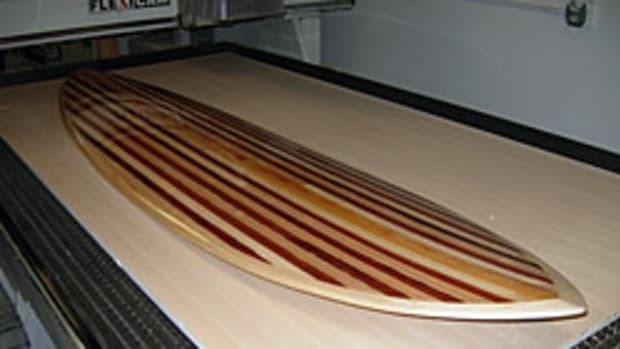 Del Oro woodshop instructor Steve Paris said he was delighted at being chosen and distinctly remembers having stopped at the Safety Speed booth while he was at the show. “The router will show students a new process for getting things done quickly and safely,” Steve Paris said. Paris teaches beginning and advanced woodworking to about 150 students annually. Students in his beginning class will use the horizontal panel router to match dados in a corner shelf project and advanced students will use it to create blind or stop dados in a cabinet project.